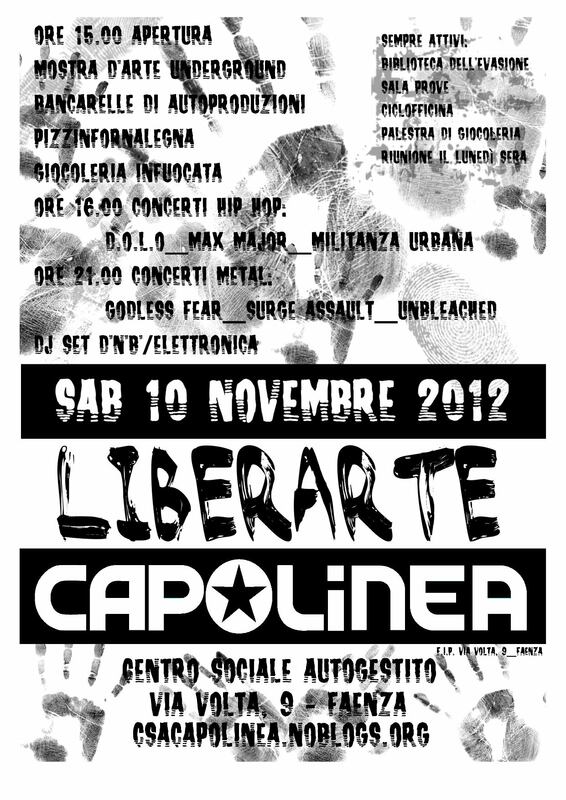 SABATO 10 NOVEMBRE 2012 @ CAPOLINEA: LIBERARTE!!! Continue reading SABATO 10 NOVEMBRE 2012 @ CAPOLINEA: LIBERARTE!!! Comment on SABATO 10 NOVEMBRE 2012 @ CAPOLINEA: LIBERARTE!! !